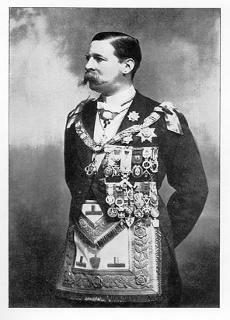 Henry James FitzRoy in full masonic regalia. British Earl of Euston, and Freemason. For Northamptonshire and Huntingdonshire lodges.